We remember summer camp fondly. Mostly because we had a major crush on a counselor named Chad who was so old and wise (and hunky). Yeah, he was 18 and we were 14 with raging hormones. Well, now we have the opportunity to go to camp as adults. And quite possibly find a whole-new Chad that actually wants to be stared at in the shower. 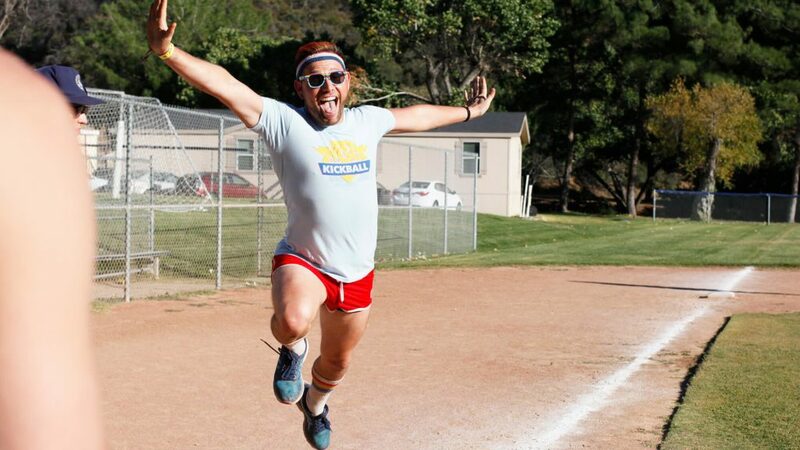 This October 5 to 8, Camp No Counselors near Los Angeles hosts an LGBTQ weekend that combines all the best elements of summer camp while making things decidedly more adult. And gay. An open bar, sure. Oh wait, that’s one of the amenities! There’s also a slip-and-slide, swimming pool, zip line and organized activities ranging from kickball to arts and crafts. Of course, no gay gathering would be complete without a costume theme party, lip sync competition, and talent show, so get to sewing and rehearsing. You’ll crash in a cabin that sleeps eight or 16, in a (comfortable) bunk bed, while modern bathrooms also elevate the experience from what you probably remember as a kid. Perhaps best of all, there’s no wi-fi, making it easy to completely disconnect and live in the moment for a change. Book a three-day/two-night package for $450 or upgrade to a four-day/three-night package for $699, which includes an opening night party—and that glorious open bar during breakfast, lunch, dinner, happy hour and evening events. Because as adults we all know one thing for sure: archery is way more fun a little tipsy.